PRICE REDUCTION!! 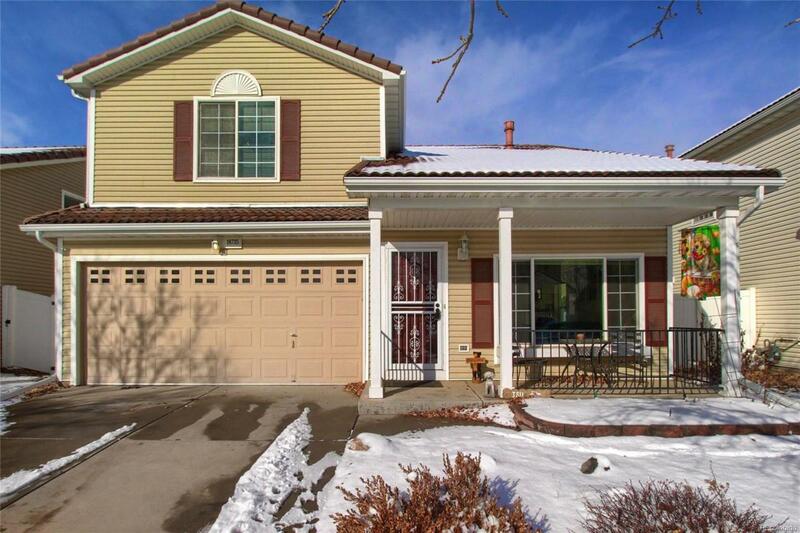 Great 2 bed, 3 bath home in the heart of Green Valley Ranch. Spacious living room with vaulted ceilings, 3 sided gas fireplace & abundant natural light. Open kitchen and dining room with laminate hardwood floors. Opens to backyard. Laundry room and half bath on main floor. Upstairs features master bedroom with walk-in closet and en suite master bathroom. 2nd bedroom and bathroom with bonus loft space - could be converted into a 3rd bedroom. AC installed in 2017. Fenced in backyard. Attached 2 car garage with south facing driveway. Neighborhood park just 1 block away. Amazing location, just a few minutes to light rail, 15 minutes to DIA, close to shops & restaurants. Don't miss this beautiful home in a great community.